As per a poster leaked recently, Oppo R19 seems like Oppo F11 Pro and the former may launch soon in China soon while the latter may launch in other market like India in March. The poster shows the front with almost no bezel except at the top where there is a room for speaker while the bottom also shows a thin chin. Surprisingly, Oppo R19 shows no notch display design and does not show any punch hole on the display. We recently heard Sony is planning to launch it’s Sony Xperia XZ4 with triple lens camera at the back with one of them bearing 52-megapixel sensor, before the news could settle, we have another news, this time for Oppo fans. 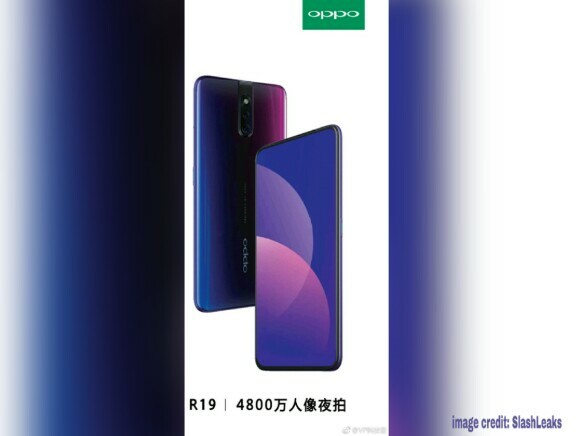 As per a poster leaked recently, Oppo R19 seems like Oppo F11 Pro and the former may launch soon in China while the latter may launch in other market like India in March. The poster shows the front with almost no bezel except at the top where there is a room for speaker while the bottom also shows a thin chin. There is no detail, though, if the display would be LCD or LED or Super AMOLED. 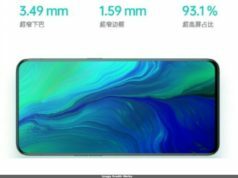 Surprisingly, Oppo R19 shows no notch display design and does not show any punch hole on the display. This makes us wonder if the device would feature a pop up camera sliding from the top for the selfie clicks. 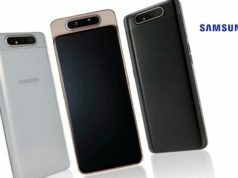 The earlier leaked photos of the Oppo R19 show the pop up camera may slide up from the middle of the phone unlike the Vivo Nex smartphones where the pop up camera slide from the left top bezel. 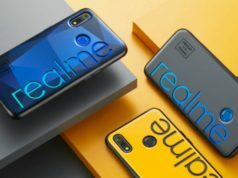 With regards to the back of the smartphone, there is a vertically aligned dual lens camera setup with primary sensor ranging to as high as 48-megapixel sensor, with an LED flash at the top of the dual lens camera module. The camera setup at the back is in the middle, rather than the usual left hand corner, streamlined with the pop up selfie camera. 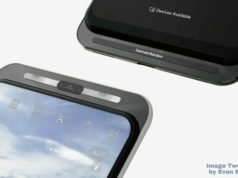 With regards to it’s fingerprint scanner, one can’t find the fingerprint scanning cut-out at the back, which hints at featuring of in-display fingerprint scanner. The poster leak does not show any other information, not even the display made material. The gradient blue finish with pink color gradience does make the device look attractive, however, we guess there may be another color variants at the time of launch. 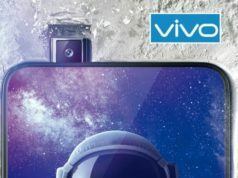 As the poster does not reveal any detailed information, we guess there may be another leak which may clear out doubts on other specification details of the smartphone. 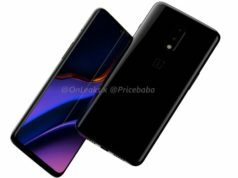 Though, we may get these information to soothe our hunger for immediate details of the smartphone, we must remember that these details are not authentic as nothing has been confirmed by Oppo, itself. Hence, we must wait for Oppo to officially confirm these details to believe it. Previous articleDid Neha Kakkar Dedicate Song ‘Tera Ghata’ to former Boyfriend?